It's time for new inspirations. This time I have checked mscraps gallery. Thank you for posting your pages! All pages are linked to the gallery if you wnat to leave any comment or check the credits. 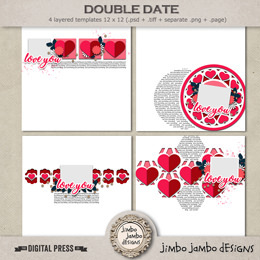 If you want to be featured be sure to post your pages in jimbo jambo designs galleries.